Is it time for company strategy to be aligned with the needs of the individual? How can smart technology be applied to help compensation administrators make better decisions? How can we drive engagement through pay? 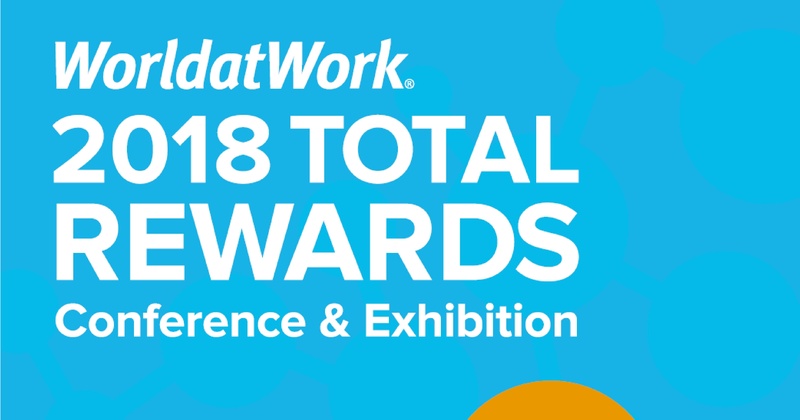 These questions were the basis for discussions at WorldatWork’s 2018 Total Rewards Conference and Exhibition. Held in Dallas, the event brought HR and rewards professionals representing the largest global companies to discuss intelligent solutions to workplace challenges. Josh Bersin from Deloitte opened this year’s show, to discuss the rise of the individual. Nowadays a person’s career is independent of their employee, frequently moving to new employment, rather than up the career ladder. For that reason it’s more important than ever to align company strategy with the needs of the individual, finding new ways to engage and reward their employees. Josh noted that a start is to make the rewards process more agile, as companies who revisit their rewards more frequently are outperforming those that do it once a year. Driving engagement through pay is not about how much you are paid. It’s about believing that you are being paid fairly. To address these issues of fairness companies need to understand the importance of establishing a solid foundation of trust with their employees. You can develop this trust through improving the perceptions of fair pay. By strategizing compensation management companies can make informed and consistent pay decisions, showing employees how their pay is managed—giving them a deeper understanding of their purpose within their organization. You can’t underestimate this sense of purpose. Understanding your value installs a level of commitment, pride, and loyalty, offering a level of engagement that has the power to buffer the impact of negative environmental factors—especially when it is not economically viable to make sweeping pay and bonus increases. The amount of data the world produces doubles annually. As artificial intelligence and machine learning dominate the headlines, organizations now want to understand how these technologies can be applied to help compensation administrators make better decisions, with the power to provide value not only throughout the recruitment cycle but also to mitigate any retention issues along the line. Organizations can no longer afford to rely on traditional data sources, with AI and ML analytics opening the door to making the right decisions to create fair, market-based, and transparent compensations. The rise of the power of the individual makes it even more important for organizations to embrace the evolution of smart technologies in the future. Fair and transparent compensation plans, coupled with the right technology will help companies align individuals with their total reward strategy, leading to a happy and motivated workforce.